There was a time when the players in a Springbok touring squad who did not play in matches were referred to by teammates as Tommy Tourists or “tackle bag carriers” but that has changed in the past few years, particularly since Rassie Erasmus took over as coach. Under Erasmus the coaching aspect, the commitment to improving players and making them better at their jobs, has been an important part of his focus, and DHL Stormers lock JD Schickerling is just one of several players who has returned from an international tour in recent times feeling that he has been enhanced as a player even though he didn’t play. Schickerling will be putting in a big push this year to get into the Bok mix after missing much of 2018 to injury. Highly rated ever since he was a schoolboy, Schickerling proved his mettle by recovering from a broken neck sustained in an age-group game between Western Province and the Blue Bulls a few years. Although injuries have held up his momentum subsequently, he has shown when he has been on the field that he has the ability to fulfil his early career expectations if he gets an extended uninterrupted run. He hopes that will be the case this year, and has had his confidence boosted by his first experience of being a Bok, even though it was in a non-playing capacity, on the recent end of year tour of France and the UK. 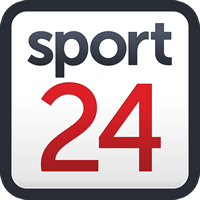 “We worked really hard on tour, all the squad guys who weren’t playing had to work incredibly hard to prepare the guys who were playing,” said Schickerling in a break to the build-up to Sunday’s clash with the Bulls in SuperHero Sunday at Cape Town Stadium. One of those players is the man he is likely to be marking on Saturday, the massive and explosive Lood de Jager. De Jager and Schickerling had similarly frustrating 2018s. De Jager was injured halfway through the Bulls’ Super Rugby campaign and ended up missing all rugby between then and the end of year tour, where perhaps he was a bit rusty initially. His best game while away from home was when wearing the jersey of the Barbarians against the Pumas at Twickenham. De Jager will want to hit the season running as he goes all out to nail down a starting position in the Bok World Cup team. And so will Schickerling, who was in good pre-season form last year but was then ruled out for several months due to an injury sustained in the last move of the second tour match against the Crusaders. The Stormers have two Bok locks on their books in the form of Eben Etzebeth and Pieter-Steph du Toit, and last year that might have been seen as an inhibiting factor for Schickerling (although as it turned out Etzebeth was out injured for the entire Super Rugby season). However, the success Du Toit has enjoyed under Erasmus on the blindside flank has changed the landscape for Schickerling. “I hope it it turns out that way as I have been working incredibly hard for it,” said Schickerling when asked if he could expect to be a permanent starter in the Stormers’ second row.